This place is a homerun. Really great desserts and if you go during slow hours, there’s plenty of seating everywhere. 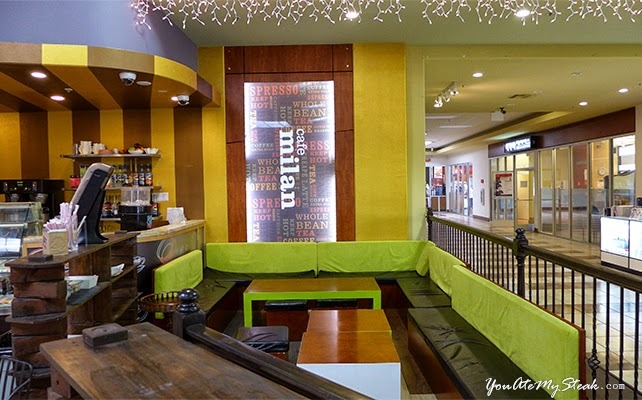 The atmosphere is straight up mall food court (in fact, it literally IS a food court), but once you’re sitting and lounging in their seating area, it actually feels more like an outdoor cafe. Surprisingly not a bad place to meet with a friend if you just want a quiet place for a great dessert and good conversation. The great thing about the desserts at Snowice is that the desserts are layered in a way that the flavor and texture isn’t the same throughout the entire dessert. So it may start sweeter and stronger on the top layer, but it turns more into a light ice (you could say a “snow”) dessert in the middle, then gets a little stronger as you get to the bottom again because the melted ingredients meeting at the bottom. 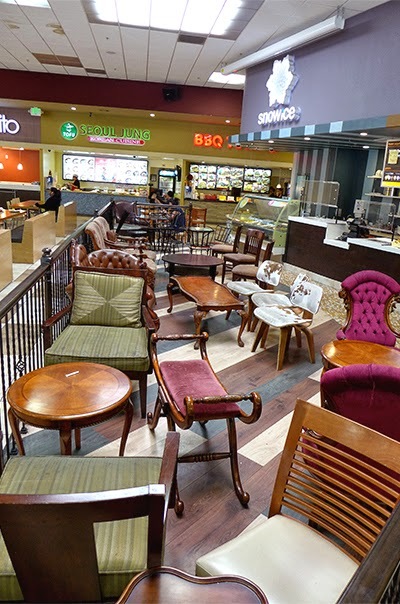 They have a lot of flavors and options so you’re sure to find something for everyone. Some examples of their dishes: “Eat your Green” (this is what we had. 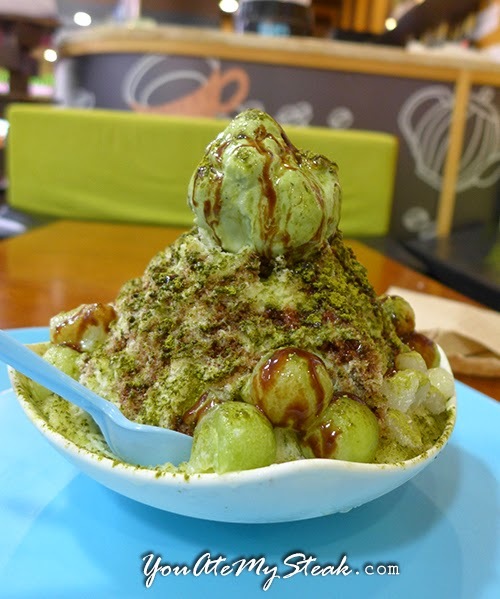 green tea matcha with mochi bits, ice cream, and other amazing things to create a wonderful flavor), Rosy Berry (berries), Monkey Lover (chocolate and bannanas), Milky Sweetie, Yogur Melon,Rich Lychee, Falling Fruits, Hawaiian Yum, and more! 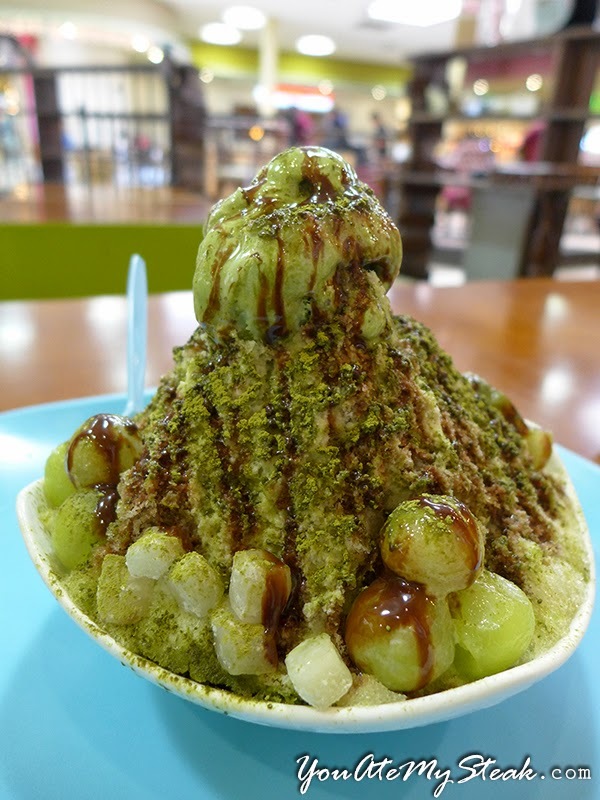 Snowice is located inside Lawrence Plaza.